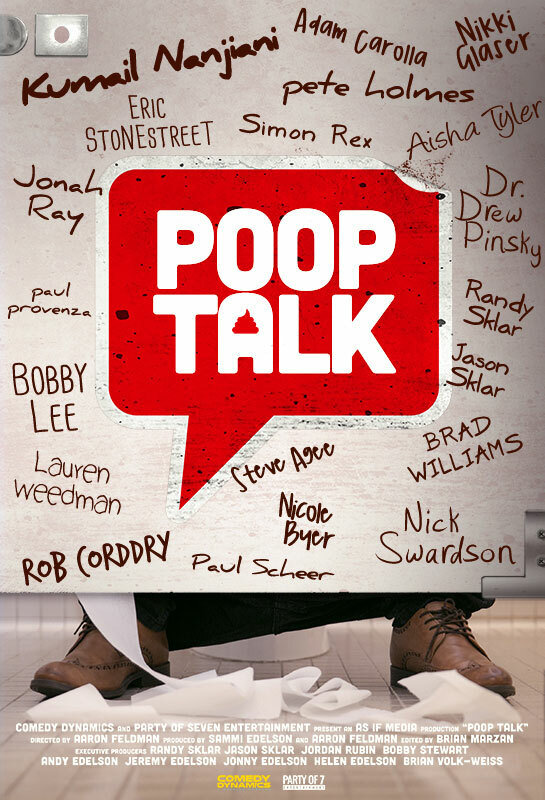 The title of Poop Talk provides the most apt description of what this documentary is about. Directed by Aaron N. Feldman, who closely collaborated with brothers Randy and Jason Sklar on the project, the film features a bunch of stand up comics talking about, you guessed it, poop. The subjects include a range of familiar names and faces – Eric Stonestreet, Nick Swarsdon, Kumail Nanjiani and Rob Corddry, to name but a few – and the topics they discuss include their daily habits, their bathroom horror stories, as well as their general thoughts on doing their business and whether or not it’s appropriate to talk about it as part of their act. There are some amusing anecdotes, and a few funny moments here and there, mainly because the majority of the people being interviewed are naturally humorous people. But the film as a whole feels scattershot, and it strains our interest, even at a mercilessly short 69 minutes. The film lacks much of a focus besides just being a bunch of conversations built around scatological humour, which can get tiresome after a while. What more can I really say about this film? It’s called Poop Talk, and is literally exactly what it sounds like. That’s all you really need to know. If the title amuses you enough to want to see the film, then you might get some giggles out of it. But if that title makes you roll your eyes, then you probably don’t really need to waste your time actually watching it. Poop Talk is now playing in limited release at the Carlton Cinema in Toronto, and is also being released simultaneously on digital platforms today.